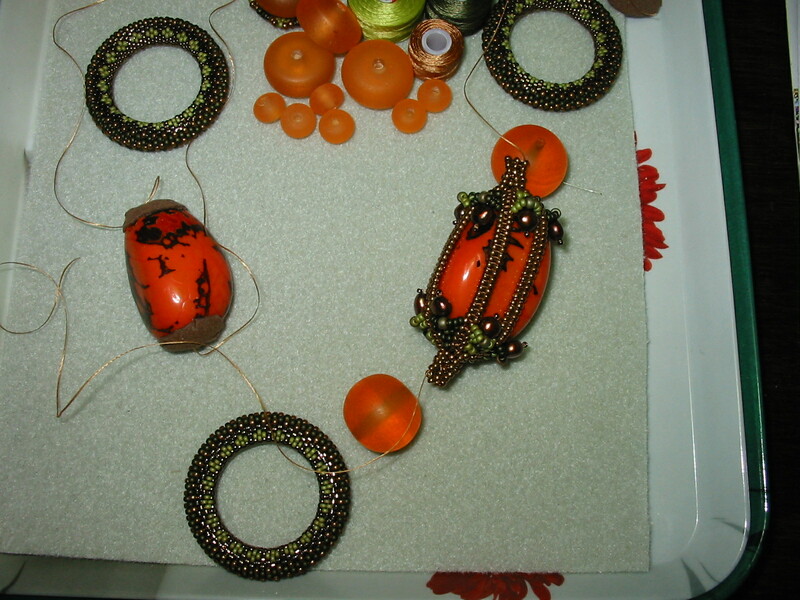 Beading around these tagua nuts turned out to be rather frustrating. Free-form would have been much easier, but I didn't like the way it looked near the rings, so I decided to "cage" them with herringbone and ladder stitches. 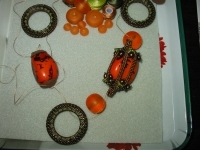 Here's the first caged tagua. I'm not excited about it, but I still can't tell if I'm going to like this necklace or not, so I'll keep working on it, hoping that it will not have to end up as an UFO forever.